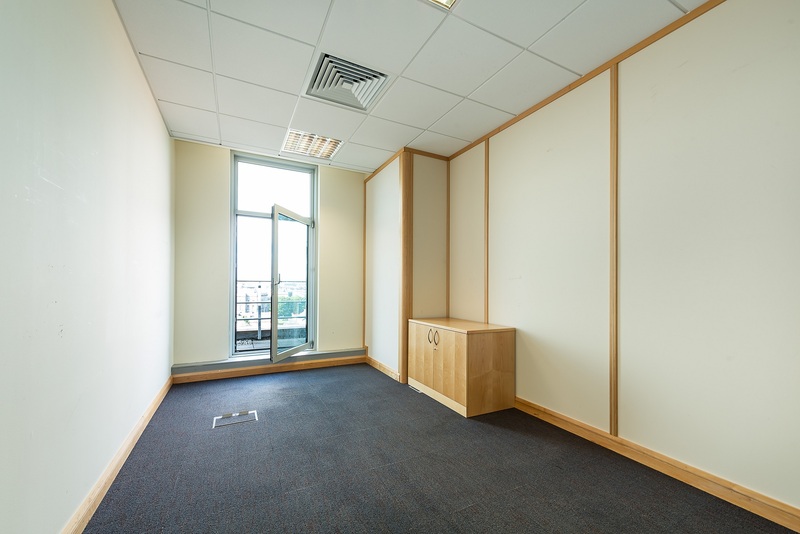 Description: Self-contained open plan suite of offices on the 5th floor. 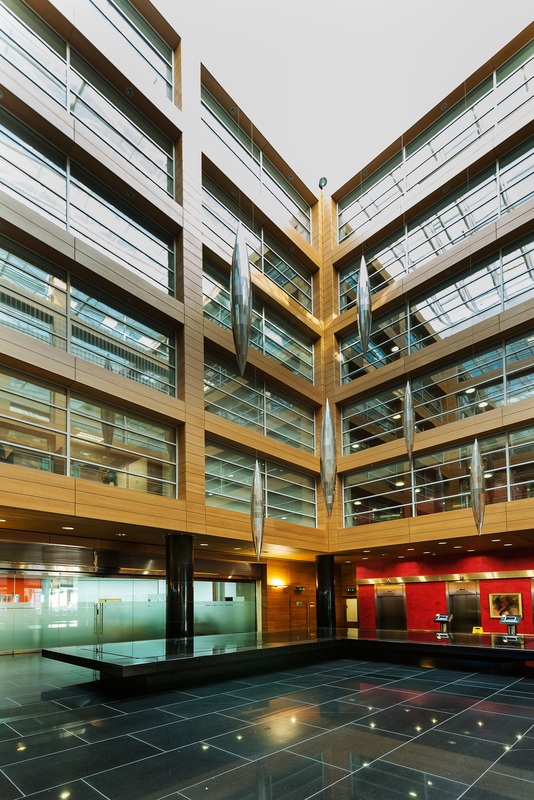 The Capel Building is a modern top specification office building which is multi-let to a range of corporate tenants from the legal, financial and technology sectors. 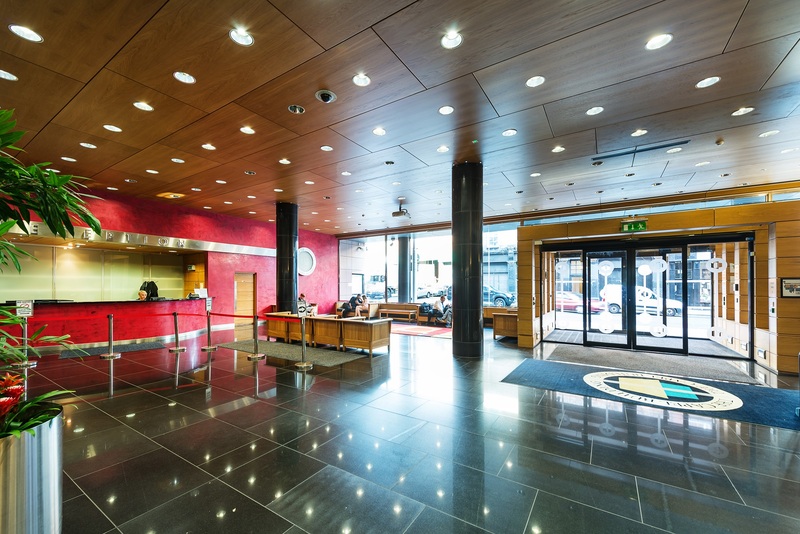 The building features a large entrance reception featuring a central atrium with water feature and reception and coffee shop area. 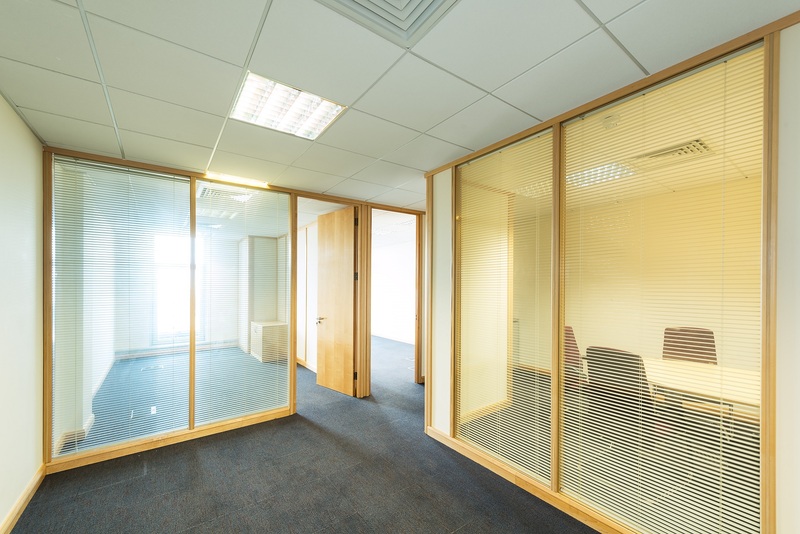 Unit 510 is a self-contained open plan suite of offices on the 5th floor which is fitted with quality glazed and solid partitioning providing 2 private offices, a meeting room and open plan office area. 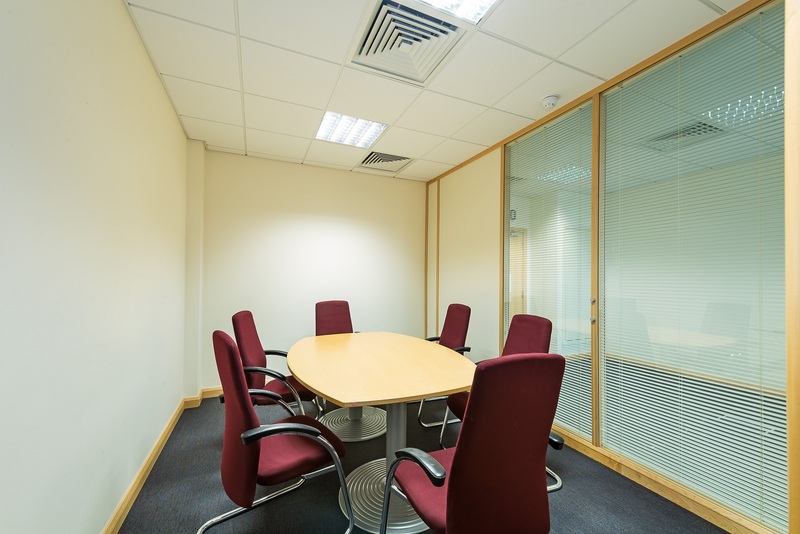 The offices have raised access floors with carpet finish, under floor trunking with cabling and suspended ceilings incorporating air conditioning and recessed lighting. 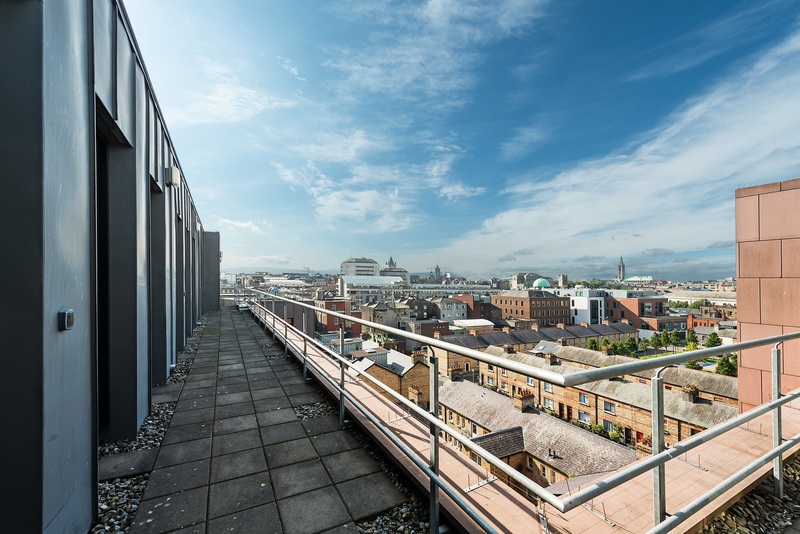 There are full height windows and doors providing access to a balcony and roof terrace area with excellent views over the City. There are communal fully fitted kitchens on each floor as well as ladies and gents toilets and shower facilities. The building has 24 hour access and bicycle parking. Car parking is available in the building and in surrounding multi-storey car parks subject to separate charge. The Capel Building is located on Mary’s Abbey at the junction with Capel Street, close to The Four Courts in Dublin City Centre, just c.500m from O’Connell Bridge and close to the excellent shopping district of Henry Street and Mary Street including retailers Arnotts, Marks & Spencers and the Jervis and Ilac Shopping Centres. The Luas tram system runs outside the building providing links to Heuston and Connolly Rail Stations and the IFSC. 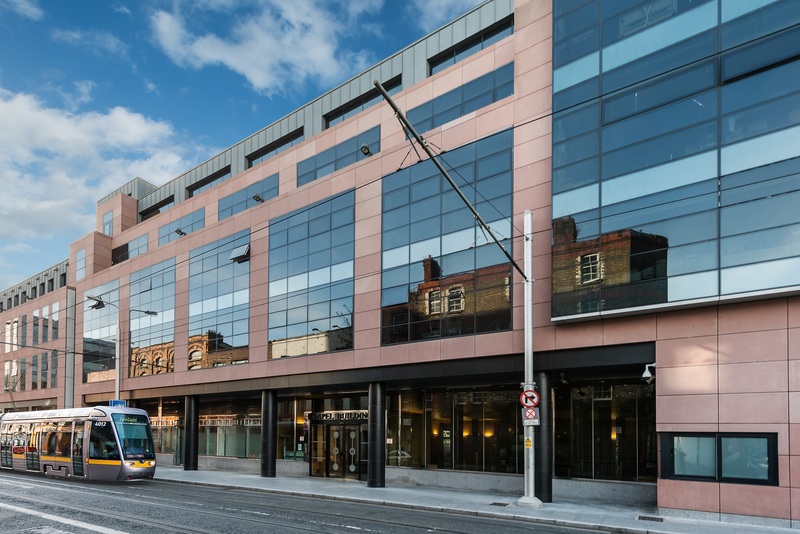 The location is close to the shopping areas of Henry Street and Mary Street including Arnotts, Marks & Spencer and the Jervis and Ilac Shopping Centres. Floor Area: 60.4 sq.m. / 650 sq.ft.